Time: 30 minutes and 2 hours depending upon how far you feel like walking. 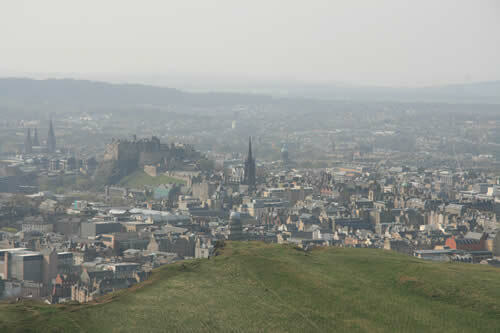 Arthur's Seat is one of the seven hills of Edinburgh and looming over the city which offer many different walks for everyone. 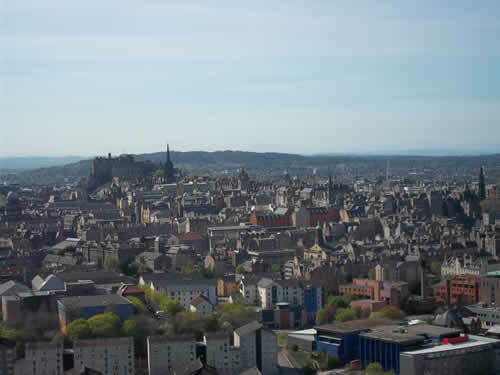 Without question the best views are to the west over looking Edinburgh Castle, Old Town and the New Town. 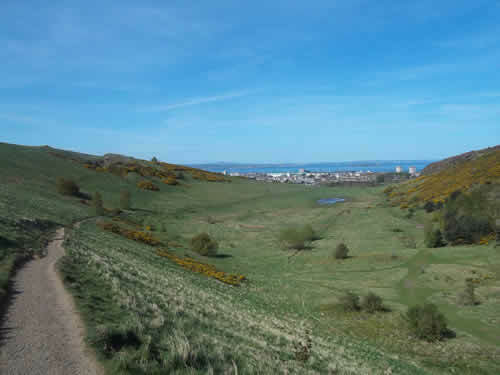 On a good day, the Ochil Hills beyond the Forth Road Bridge and the Firth of Forth can be clearly seen. The easiest and most direct route is to park at Dunsapie Loch and approach the summit from the east (map) along either of the two obvious paths starting at the car park. This is an easy stroll that takes only 15 minutes to reach the summit, but do not race off too quickly as you will no doubt have to stop to catch your breath. Alternatively you can park near the Palace of Holyrood and follow the footpath to near St. Anthony's Chapel (ruin) before heading up the well marked path to link with the paths coming from the east side of the hill (Dunsapie Loch). At this point several paths come together where a new path has been constructed. 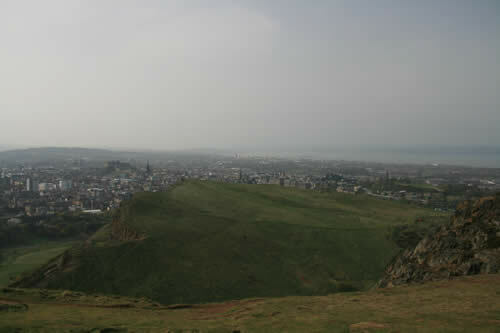 From there continue over the volcanic rock to the summit of Arthur's Seat. 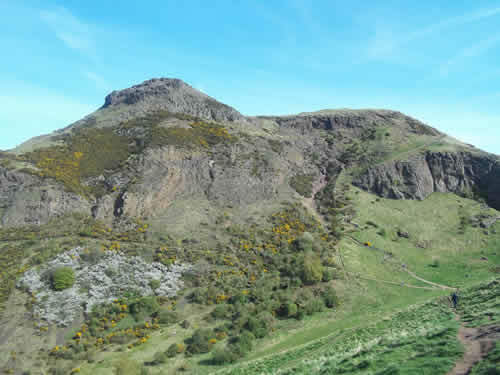 Other tops around Arthur's Seat include Whinny Hill, Crow Hill and Nether Hill, which provide alternative, quieter walking routes.